There were no fireworks today in Utsunomiya. 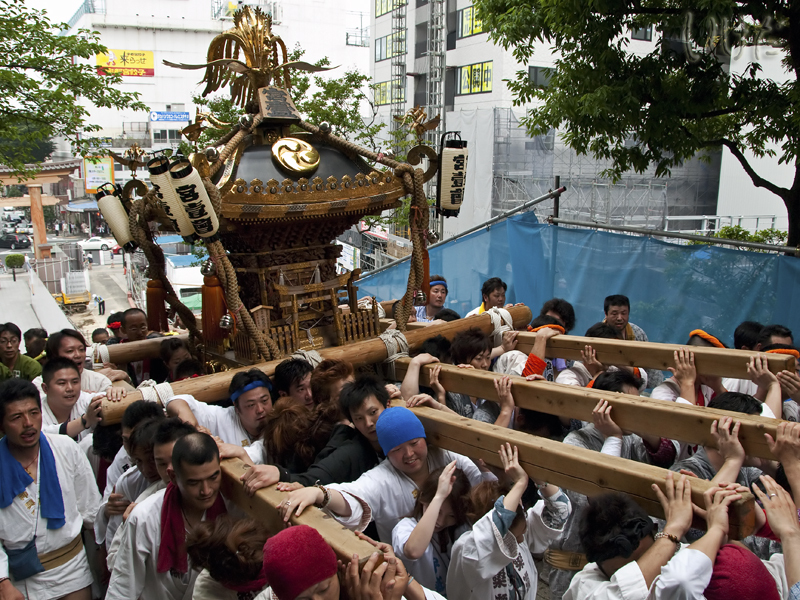 But then again, who needs fireworks when you can have a mikoshi parade, right? I had to stay home today and do some computer work, but Dr Trouble decided to brave the hot and muggy weather and went to downtown Utsu to bring you this - Miyaichisai 2010. Even though the event has its own name, it's more or less just a dress rehearsal for a much more festive and important Tenno Sai, which I think will take place in two weeks. The feet - 2010 edition. Whenever I see it, "We can dance, we can dance" automatically starts playing in my head. Blogged! No clue who these guy are, but that's not going to stop me from posting their faces on the interwebs. 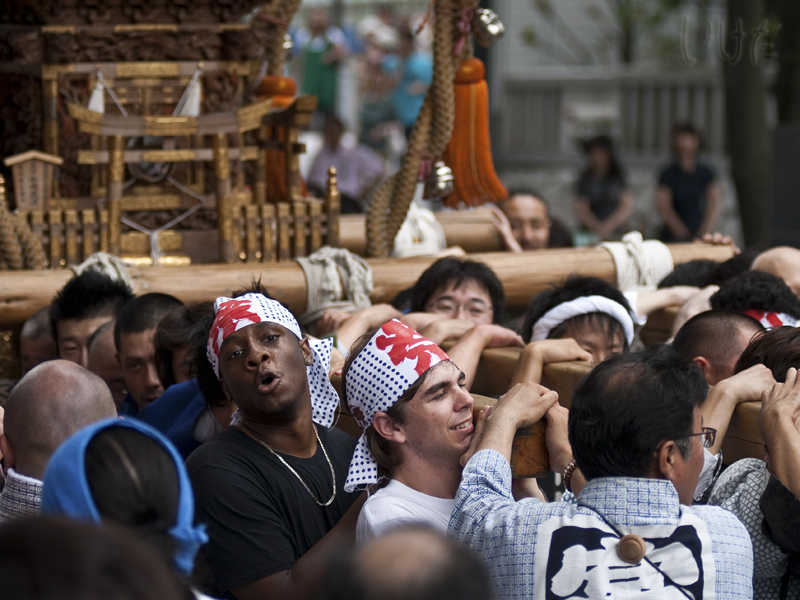 On the steps to Futaara shrine. Those who know these steps can appreciate the effort involved. And of course, it wouldn't be a summer festival without summer festival hairstyles. Great photos Anna! I've always wanted to go to Japan, maybe one day. Does it cost much to live there?